The nation's poverty rate was essentially unchanged last year, the first year it hasn't increased since before President Bush took office. The Census Bureau reported Tuesday that 37 million Americans were living under the poverty line last year — about 12.6 percent of the population. That's down from 12.7 percent in 2004, but census officials said the change was statistically insignificant. The median household income — the point at which half make more and half make less — was $46,300, a slight increase from 2004. However, the number of people without health insurance increased to 46.6 million in 2005. About 45.3 million people were without insurance the year before. With the poverty rate steady but median household income rising, "that could represent an increase in inequality" between the wealthy and the poor, said David Johnson, chief of the Housing and Household Economic Statistics Division of the Census Bureau. The official poverty level is used to decide eligibility for federal health, housing, nutrition and child care benefits. The poverty rate — the percentage of people living below poverty — helps shape the debate on the health of the nation's economy. The poverty report comes four years into an uneven economic recovery — and a little more than two months before congressional midterm elections that will determine whether Republicans continue to control the House and the Senate. High gas prices and a slowing economy could help make pocketbook issues important in some races, especially in the Midwest, where job growth has been slow or nonexistent. The United States added about 2 million non-farm jobs in 2005, and has added nearly 1 million since, according to the Bureau of Labor Statistics. But job growth has been uneven across the country. For example, Ohio, Michigan and Illinois had fewer jobs in July than they did when Bush took office in January 2001. The nation has added 2.8 million jobs in that time, despite suffering job losses in 2001 and 2002. 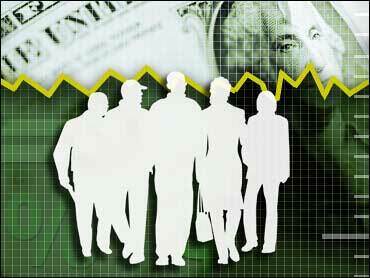 "The economy should be an issue," said Evelyn Brodkin, a political scientist at the University of Chicago. "But so much of that depends on who people blame for their economic situation and who they think can help them. We will learn a lot from the midterms." The poverty report also comes 10 years after the 1996 welfare overhaul, which required millions of poor single mothers to work and which set limits on how long recipients could get monthly checks. Poverty rates didn't skyrocket as some had feared. But they didn't drop much, either, suggesting that many of those who left welfare didn't climb out of poverty. The poverty rate was 13.7 percent in 1996, when about 4.4 million families received welfare payments. About 1.9 million families receive payments today. "Most of the people who leave welfare for work are leaving for jobs that pay $7 or $8 an hour," said Joan Entmacher, vice president of the National Women's Law Center, an advocacy group based in Washington. "Under the best of circumstances, they are just getting by."